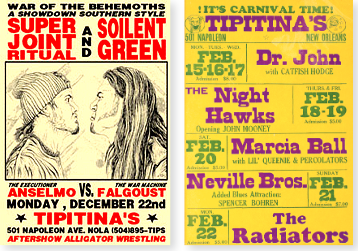 Photo of Tipitina's posters announcing performances by Marcia Ball, Neville Bros. 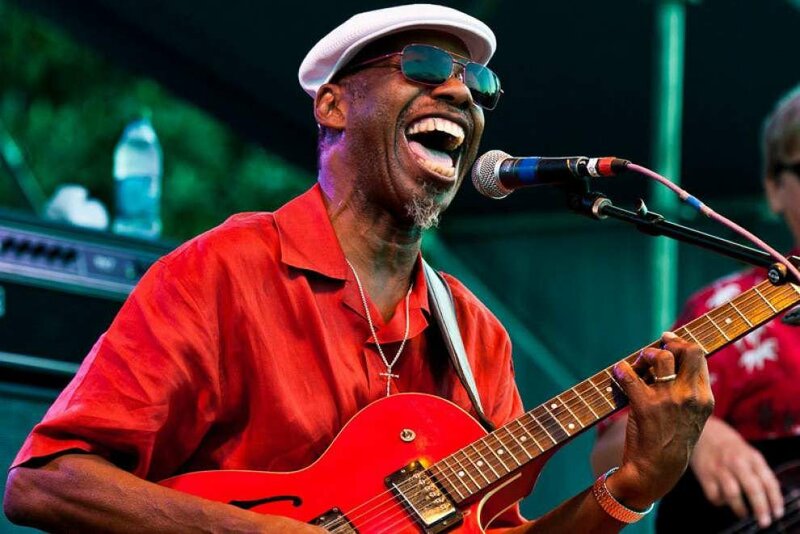 CONTRIBUTED PHOTO -- Bluesman Walter 'Wolfman' Washington performs Friday at Tipitina's in New Orleans. Tipitina’s was opened to nurture a single artist – Professor Longhair – but has become a vehicle to help to nurture all New Orleans’ musicians. The club at the corner of Tchoupitoulas Street and Napoleon Avenue was bought by a group of 14 investors in 1977 as a place for the aging Professor Longhair, Henry Roeland Byrd, to perform. It was named after his 1953 song “Tipitina.” In addition to showcasing Byrd and other musicians, the club had a juice bar and a vegetarian restaurant. Bananas were given out to those attending shows – leading to the infamous banana in Tipitina’s logo. Though Professor Longhair died in 1980, the club continued, and for five years was the home of WWOZ. In 1986 new owners took over, booking national acts and opening satellite locations. But the club had difficulty competing with the House of Blues when it opened in the French Quarter in 1994. Club owners Jim and Mientje Green sold the club in 1996 to real-estate developer Roland Von Kurnatowski, a New Orleans native and Loyola University graduate. Despite his lack of knowledge about Tipitina’s, Von Kurnatowski had a clear vision for the city’s musicians: he wanted to help existing New Orleans musicians and nurture young artists. He created the non-profit Tipitina’s Foundation in 2003. The foundation has provided millions of dollars in instruments to local students, established an internship program and a music office co-op that provides skills training for musicians, filmmakers and other media professionals. Like Louis Armstrong, Professor Longhair is a New Orleans original.